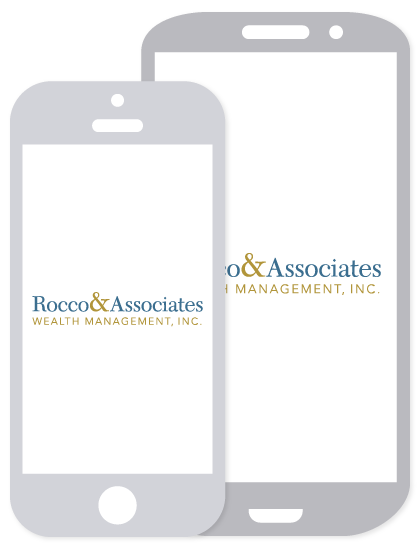 Market Outlook – August 2015 | Rocco & Associates Wealth Management, Inc.
With August upon us we believe volatility will continue to be a drag on the markets. Investors have been riding the volatility roller coaster for the last quarter and it does not seem to be slowing down any time soon. However, current volatility levels are actually near “normal” after the lows of the last seven years. It can be argued that one of the largest contributors to the broad market swings we have seen are hedge funds and high frequency trading. Some hedge funds and high frequency traders play off of small market swings, and because the stock positions they hold are so large, each move has a compounding effect on the overall markets. The average investor does not have as much impact, and can only follow the trends that he or she sees in the market. Therefore, as an investor it is important that you are invested in a security that you believe will do well, rather than following traders’ movements. Unclear economic trends also drive market volatility. Major economic powers like China are struggling to combat with a slowing GDP, the EU is trying to soften the blow of the Greece crisis by continuing its bond buy-back program, and the Federal Reserve is weighing up a potential interest rate hike in September. These major Central Bank activities may impact other countries’ markets. Greece is very close to finalizing a debt deal with creditors. Global markets have been watching this situation closely, reacting positively or negatively to any news. This is once again an indication of how fragile the markets currently are. States including Connecticut, Louisiana, and Oregon all have Gross State Products higher than Greece’s Gross Domestic Product. Yet investors get the feeling that the Greece situation will have a much larger effect on the EU and debt markets. China also continues to be on our watch list. The Chinese Central Bank has taken a multitude of quantitative easing steps which seems to have calmed the markets for now, even though a majority of Chinese corporations have halted their stock from trading on the open market. China has seen its GDP growth rate fall from 10-12% to 7%, causing concern for a slowing economy in the years to come (see chart below). While investors wait on any movement from the “Fed” and ECB, corporations like Netflix (NFLX) and Amazon (AMZN) have soared after positive earnings while Apple (AAPL) and IBM have seen large dips in stock price after poor second quarters. The current investor is ready to pounce on any news good or bad. These are just a few reasons why the current US financial markets are so vulnerable to swings. Investor anxiety may result in over buying and selling based on any developing news from Wall Street, due to the investor’s desire to obtain higher returns in a flat market. In other domestic news, on 7/8/15 the New York Stock Exchange halted trading due to an internal malfunction. Trading resumed after a 3 ½ hour shut down. System malfunctions like this are not as scarce as people may think and do not usually result in any major negative market fall, especially with modern technology playing such a major role in trading today. To combat these high levels of volatility we continue to stress diversification. The following was stated by LPL Financial in their Mid-Year Outlook; “By using the level of the VIX (an index which demonstrates the market’s expectation of 30-day volatility) as a proxy for volatility, when readings have been high (above 24), a diversified portfolio has outperformed the market 88% of the time, by an average 5.7%, over the next year (see chart below).” Our in-house allocations are spread among a diverse sector range, therefore creating extensive exposure for our investors. At Rocco & Associates Wealth Management we want to make it clear that our primary interest is making sure our clients feel comfortable with their allocations. We still expect interest rates to rise in September of this year, but also caution that volatility will potentially rise during this period. As always we are continually following any developments and tailoring our client’s portfolios accordingly.